Prada's wrap mini skirt is cut from light structured silk-satin in an A-line silhouette that looks good on nearly every body. 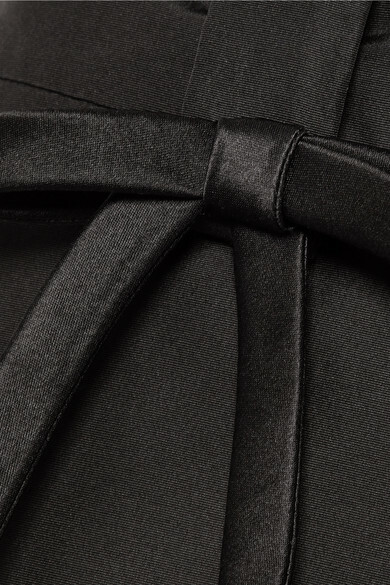 It has a neat, slender bow attached to the front belt loop and the signature triangle plaque at the back. Wear yours with one of the label's boldly printed tops and kitten heels.